Dr Alexander has been serving as Senior Pastor since August of 2018. He a two time graduate of Mid-America Baptist Theological Seminary with his Masters of Divinity and his Doctor of Ministry. Chris and his wife, Meredith, were married in November of 2008 and have two children, son Landry and daughter Amelia. 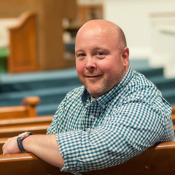 Jeff has been serving as the Associate Pastor since April of 2014. He is a graduate of The Southern Baptist Theological Seminary where he earned a Master of Arts in Christian Counseling degree. As a pastor, Jeff’s desire is to preach the Word, love the people, and trust the Lord. He and his wife Jennifer were married in August of 2005, and welcomed their son Luke in 2008, son Abram in 2011, and daughter Sawyer in 2013. Outside of church Jeff enjoys photography, playing guitar, and most importantly, investing in his relationship with his wife and children. Click here to read Jeff&apos;s full biography. Click here to read Jeff&apos;s blog. Click to follow on Twitter. Dan has been with the church for almost 20 years. A trained singer and musician who graduated from the University of Georgia, Dan also runs his family&apos;s business, Sosebee Auto Supply, a Lawrenceville institution for over 50 years. As our Worship Pastor, Dan believes that the purpose of our worship is to lead belivers to give glory to God, and non-believers to a relationship with Jesus Christ. When he has time, Dan likes to get in a quick round of golf, or spend time with his wife, Jan.
Click here to read Dan&apos;s full biography. 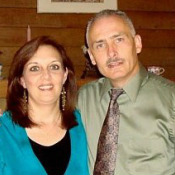 Beckie serves as the adminstrative coordinator for the church, as well as the assistant to Tommy. 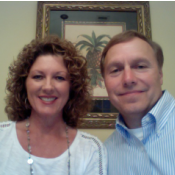 She believes that her God-given role is to assist our pastors and volunteers in creating a seamless organization. Beckie also sees her position as a way of ministering to the women of our church and community, whether in person or by phone. 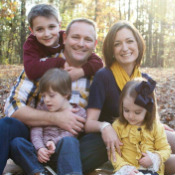 Beckie enjoys reading and camping with her husband, Kevin, and their daughter, Victoria. Click here to read Beckie&apos;s full biography.